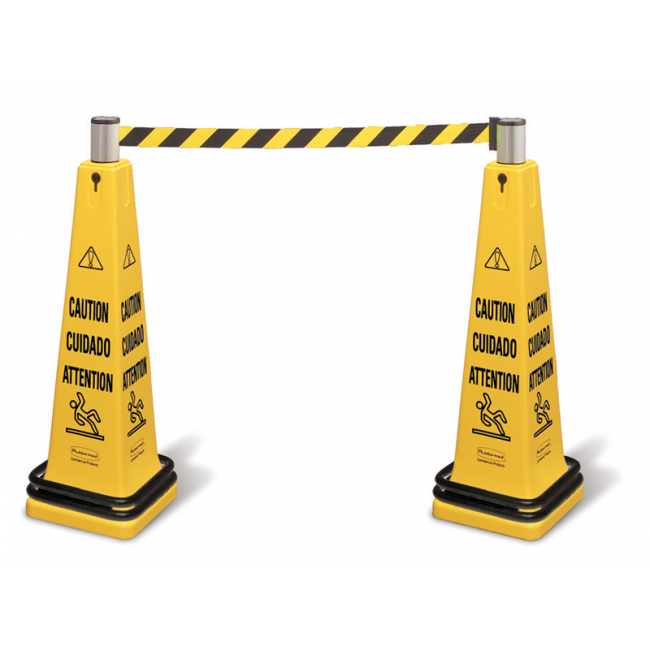 Specifically designed for safeguarding against slip-and-fall accidents in high traffic areas like supermarkets, shopping centres and other public buildings. Multilinguial warning messages for effective communication. Moulded-in slots for easy handling. Optional features include weight rings for extra stability.